A science fiction term coined by Edward Bulwer-Lytton in 1870 as a powerful form of energy weilded by a subterranean race. Eventually, it got tangled up with the Nazis. Vril is a word from a science-fiction novel by Edward Bulwer-Lytton titled Vril: The Power of the Coming Race published in 1870. In the book, Vril is a form of energy possessed by an extremely powerful subterranean race. The book was quite popular in the late 19th century, and for a time the word Vril” became associated with life-giving elixirs. 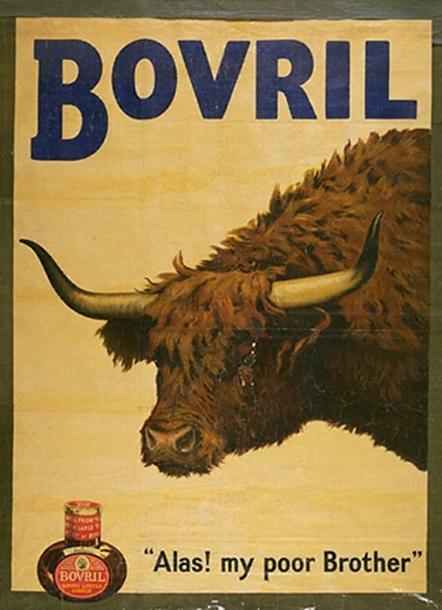 Indeed, the still-popular English drink Bovril takes its name from the combination of the words “Bovine” and “Vril”. Some readers believe the book is non-fiction, and “vrill” has become associated with theories about Nazi-piloted Flugscheiben (“Flight Discs”), Vril-powered KSK (Kraftstrahlkanone) force-ray cannons, mysterious Jesuit “spiritual exercises”, and secret Atlantean technology. Several authors (detailed below) have claimed that a Vril Gesellschaft (Society), or Luminous Lodge, was a secret community of occultists in pre-Nazi Berlin. The Berlin Vril Society was in fact a sort of inner circle of the Thule Society. It was also thought to be in close contact with the English group known as the Hermetic Order of the Golden Dawn. No verifiable evidence of the Vril Society’s existence has ever been published. The 1967 book Aufbruch ins dritte Jahrtausend: von der Zukunft der phantastischen Vernunft by Louis Pauwels and Jacques Bergier, published in Switzerland, includes an account of the society. The Vril information takes up about a tenth of the volume, the remainder of which details other esoteric speculations, but the authors fail to clearly explain whether this section is fact or fiction. New publications appeared in the 1990s, by the German right-wing author Jan Udo Holey, writing under penname Jan van Helsing. According to these authors, the Vril Society was founded as The All German Society for Metaphysics”in 1921 to explore the origins of the Aryan race. It was formed by a group of female psychic mediums led by the Thule Gesellschaft medium Maria Orsitsch (Orsic) of Zagreb, who claimed to have received communication from Aryan aliens living on Alpha Tauri, in the Aldebaran system. Allegedly, these aliens had visited Earth and settled in Sumeria, and the word Vril was formed from the ancient Sumerian word Vri-Il”(”like god”). A second medium was known only as Sigrun, a name etymologically related to Sigrune, a Valkyrie and one of Wotan’s nine daughters in Norse legend. The Society allegedly taught concentration exercises designed to awaken the forces of Vril, and their main goal was to achieve Raumflug (Spaceflight) to reach Aldebaran. To achieve this, the Vril Society joined the Thule Gesellschaft and DHvSS (Men of the Black Stone) to fund an ambitious program involving an inter-dimensional flight machine based on psychic revelations from the Aldebaran aliens. In 1922, Thule and Vril constructed Germany’s first flight disc, the JFM (Jenseitsflugmaschine) or Other World Flight Machine”, in Munich, for channeled flight testing that lasted two years. The project was led by W.O. Schumann of the Technical University of Munich, but the project was halted in 1924 with the machine dismantled and shipped to Messerschmitt’s Augsburg facility, where it was stored for future research. Professor Schumann developed a levitation unit from the research, which was called the Schumann-Munich or SM-Levitator. Members of the Vril Society are said to have included Adolf Hitler, Alfred Rosenberg, Heinrich Himmler, Hermann GÃ¶ring, and Hitler’s personal physician, Dr. Theodor Morell. These were original members of the Thule Society which supposedly joined Vril in 1919. The NSDAP (Nazi Party) was created by Thule in 1920, one year later. Dr. Krohn, who helped to create the Nazi flag, was also a Thulist. The new RFZ (Rundflugzeug) or Round Aircraft”series began in 1937, after Vril bought the fallow land surrounding the Arado-Brandenburg aircraft facility. RFZ discs 1, 2, 3, 4, and 6 were tested there under Vril supervision while Thule was helped by special SS technical branch unit E-IV, which was tasked with developing alternative energies. Thule worked on a separate disc at a secret location in NW Germany referred to as Hauneburg from 1935 on. As such their product was known as the H-GerÃ¤t (Hauneburg Device) but this was shortened to Haunebu in 1939 once the disc’s Triebwerk (engine) was perfected. Haunebu I was briefly designated as RFZ-5 when Thule moved from Hauneburg to Arado-Brandenburg. The Thule Triebwerk was a revolutionary EMG (electro-magnetic-gravitic) engine also known as a Tachyonator 7. It used a modified Hans Coler Magnetstromapparat (a gravitic free-energy battery) turned into a converter that was coupled to a Van De Graaf band generator and a Marconi dynamo (spinning tank of heated mercury). Once activated, the Triebwerk produced strong rotating EMG fields that affected gravity. The rotating fields also turned the dynamo, creating a reduction of mass at incredible Rpms. Vril also developed its own Triebwerk by 1941 with the RFZ-7, which was re-designated Vril-1 JÃ¤ger (Hunter). After 1941 Hitler forbade secret societies, so both Thule and Vril were documented under the SS E-IV unit. Vril also became secretly known as Die Kette”- The Chain”, which refers to the mental links between their members. Vril had strong contacts with Canaris of the Abwehr, the Ahnenerbe (SS occult bureau), and worked with the engineers at Arado. Both the Thule and Vril discs were built from 1939-1945. Thule produced the Haunebu I-III series of large discs while the Vril series were more concerned with resuming channeled flight. By 1944, construction of a Vril 7 Geist (Spirit) channeled flight disc was achieved, as well as a huge 139 meter long cylindrical mothership called the Andromeda-GerÃ¤t (Andromeda Device). A special unit named SonderbÃ¼ro (Special Bureau) 13 was created by the Luftwaffe to officially”investigate strange aerial phenomena over the Reich but unofficially”was created to cover-up these reports of flight discs and flying cigars. In September 1944 a ME-262 jet pilot caught sight of one of the Andromeda craft and reported it. SonderbÃ¼ro 13 immediately tried to feign ignorance of such a device. The Vril magic eye is a mythical Nazi espionage and reconnaissance device supposed to have been developed in 1945. The story is that Rolf Engel of Vril Gesellschaft Ing. developed a miniature Electro-Magnetic-Gravitic engine and installed it in a lightly-armored melon-shaped body about a foot in diameter. The body had a reception antenna, a small television camera, a weapon, and a telescopic arm that held another miniature camera and a microphone. By virtue of its design and connection to Vril, the Magic Eye was to have had the ability to appear and disappear at will. Such a device would have been suitable for a wide range of military duties that included aerial recon, submarine protection, and especially espionage. While the main body of the probe remained invisible, the telescopic sensor arm could lower its other camera and microphone into our dimension for spying. By early 1945, the story goes, Rolf Engel had performed lab tests with the power plant for this device and work was well underway on miniaturizing television equipment. The Hs-293D missile had televeision guidance and composite aircraft were being developed at this time. The Argus As-292 target drone had been converted to a remotely piloted vehicle equipped with cameras. These went unnoticed by the Allies and none were shot down. The difficulty would have been in the inter-dimensional travel and invisibility features. Meanwhile, as the Allies advanced further into the Reich, Vril planned to evacuate its technology to bases outside of Europe, especially to a secret Antarctic base – Base 211, while their own personal plan was to evacuate their mediums to the stars by channeled flight of the Andromeda. They left in March 1945 and were never found again. Vril today Today the self-proclaimed government-in-exile of Sealand under Johannes W.F. 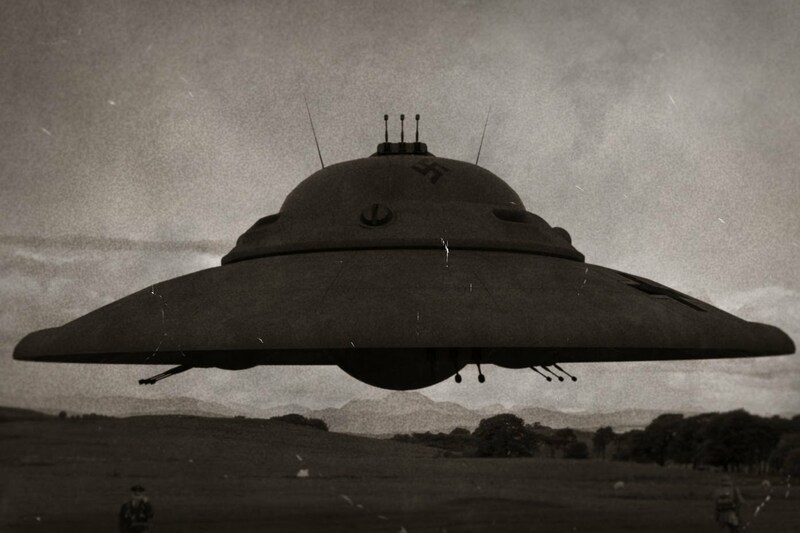 Seiger promotes Vril free energy and also has started linking to Vril disc aircraft and history. This gives some weight to allegations, that the Seiger group has contact to Neonazis, especially the self-proclaimed Reichsregierung.